Leo Road Equipments P.Ltd is D&B certified and a State of the art company located at Ahmedabad, Gujarat, the industrial Hub of India. 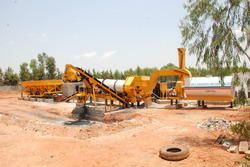 The company was established in 1996 and Today, Leo Road Equipments is the Pioneer manufacturer of Mobile Drum Mix Asphalt plant up to 120TPH /Mobile Wet Mix Macadam (Soil Stabilization) plant up to 200TPH in India AND all plants are with Design copyrights. Leo road equipments p. Ltd is crisil rates and d&b certified and a state of the art company located at ahmedabad, gujarat, the industrial hub of india. The company was established in 1996 and today, leo road equipments is the pioneer manufacturer of mobile drum mix asphalt plant up to 120tph /mobile wet mix macadam (soil stabilization) plant up to 200tph in india and all plants are with design copyrights. Leo uses the latest technology in construction equipment manufacturing field and meets perfection of global standard with vast experience of 17 years. Leo mobile drum mix asphalt plant offers the optimal solution for your asphalt production needs and guarantee customer satisfaction. Containing cold aggregate feeder with weighing system for aggregate, thermodrum (heating/mixing zone), mineral filler unit, fuel tank, slinger (tranferring )conveyor, vibrating screen, load out conveyor, control cabin with microprocessor based control panel with all ac drives system.